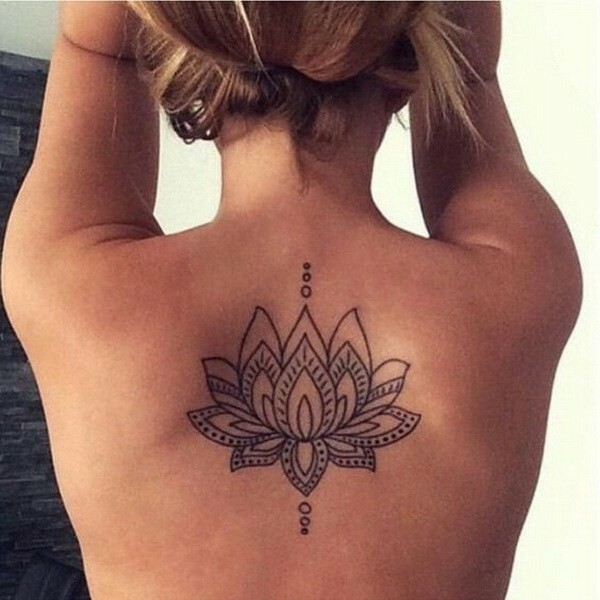 What is the Meaning Behind Some Tattoo Ideas for Women? 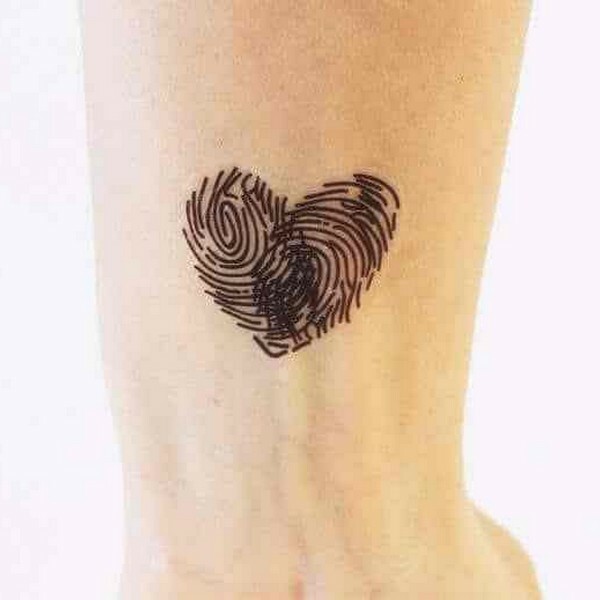 For centuries, men and women have been marking their skin with ink to send a message to others about who they are and what they care about. Today, tattoos are as popular as ever with both sexes, and you’re more and more likely to see Russian or Ukrainian girls with at least one piece of art on their bodies. Possibly this isn’t surprising with so many great tattoo ideas for women out there, as any quick internet search will show. There are lots of reasons women choose to have tattoos. For some women, they are therapeutic, a way for a woman to express emotions she might otherwise be unable too. For others they send a message, letting people who look at them closely enough understand what the woman is thinking or feeling. Sometimes, they show a link to the woman’s faith, let people know her social status, or link her to a tribe. More often, though, the motives women choose are to show that they care for a loved one, which is why there are so many brides with tattoos (you can find a gallery of them via link). Russian ladies will often get inked for this very reason. It is not uncommon for them to have unique designs that include the name of a partner or their children, along with images that have a special meaning. Sometimes, they will get matching tattoos that strengthen the bond they have with their husband or boyfriend and help tie them to the man they plan on spending the rest of their lives with. It is important for Russian and Ukrainian ladies to look for images and patterns, which are meaningful. Some women will be looking for little tattoos — the ones which they can hide if needed for work (because not everyone is a fan of inked women) or which are visible only to their intended audience (a husband, perhaps). Others will be looking for something bigger and bolder. People often say small is beautiful and this is definitely the case when it comes to popular design choices for those wanting a tiny tattoo. Popular choices of where these small pictures go include ankles and wrists, though arms and backs are favored too. There are so many tattoos for women it might be hard for a woman looking for ideas to decide. If she isn’t sure, she probably should wait until she is because, if she makes the wrong choice, it’s one she will end up regretting for a lifetime. Below are some of the small tattoo ideas for women she’ll have to choose from. 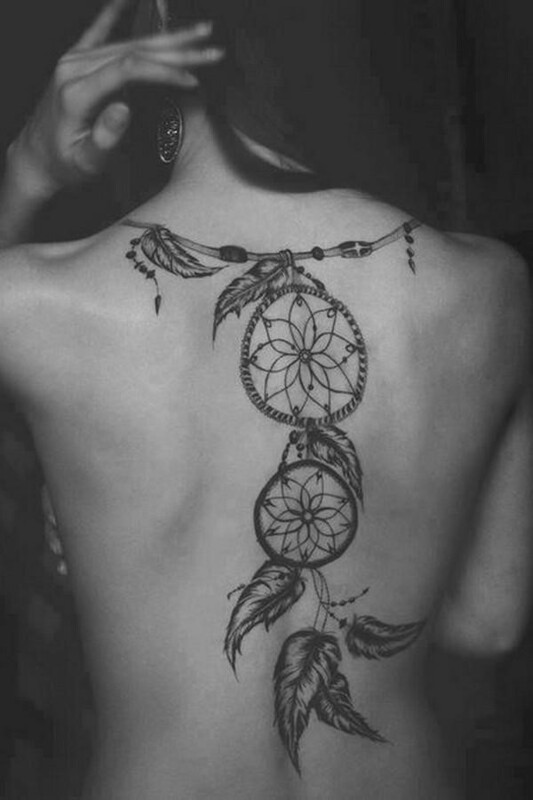 Drawn from Native American culture, a dreamcatcher tattoo is a powerful symbol designed to ward off nightmares by catching them in a spider-like web. 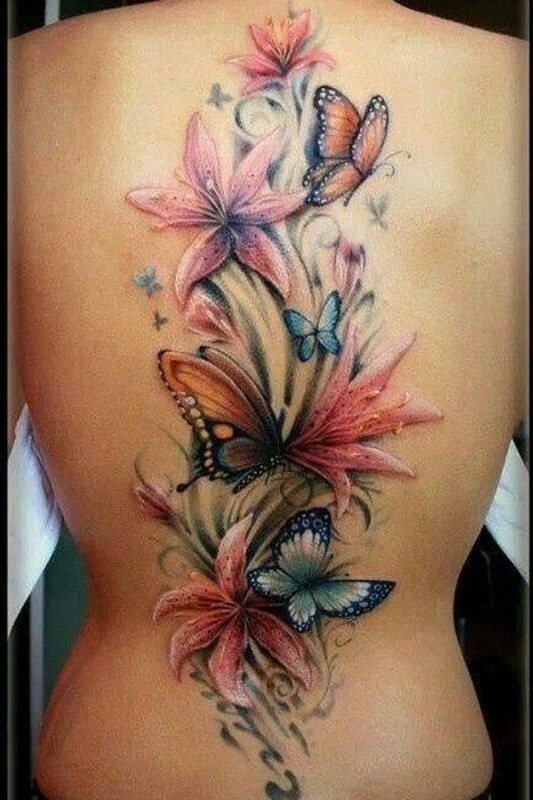 When a woman has this image on her, only good dreams will make their way through. 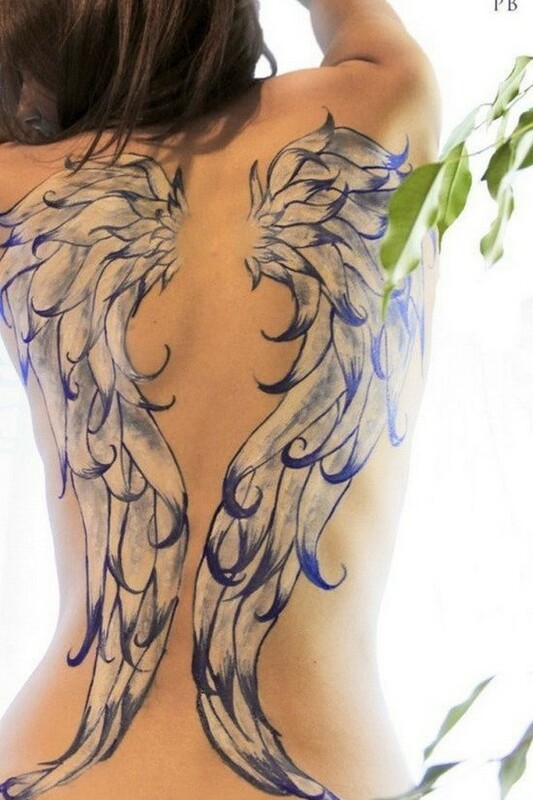 Angel wings can be used to represent a loved one who has passed on or to protect a woman against evil. Either way, they are very meaningful. Butterflies are beautiful insects created by not so beautiful caterpillars. Just as the caterpillar transforms itself, so might the woman with a butterfly on her skin, which represents growth, rebirth, and change. Just like a bird, a woman who has feather tattoos is showing you that she wants to fly like a bird and be free to soar. 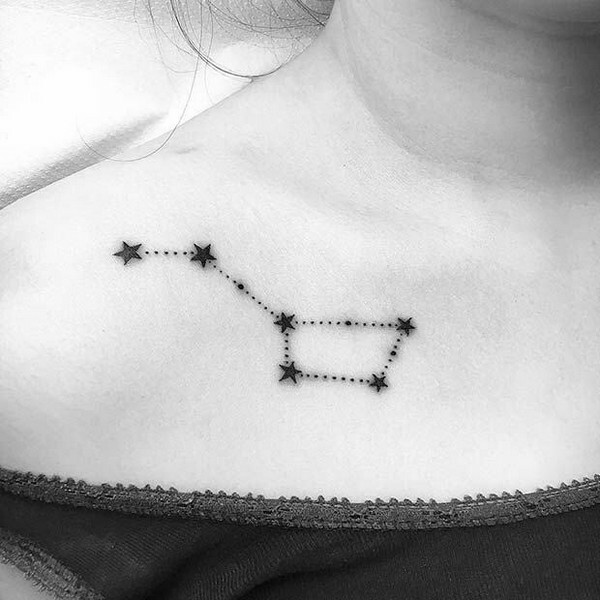 There can be single stars or constellations, the woman’s birth sign for example. Knowing a woman’s star sign might tell you a lot about her personality. A single star is telling you that she wants to shine and stand out from a crowd. Much like the dreamcatcher is drawn from Native American culture, the lotus flower comes from the East and is highly symbolic. To those who understand it’s meaning, it sends a message of rebirth and of overcoming adversity. Hearts are often seen as love tattoos but, in reality, they are so much more than this because love is so much more. They might represent the love of a person, the love of life, or the love of a power higher than the woman herself. You will need to ask just what this truly personal picture means to truly understand the woman wearing it. 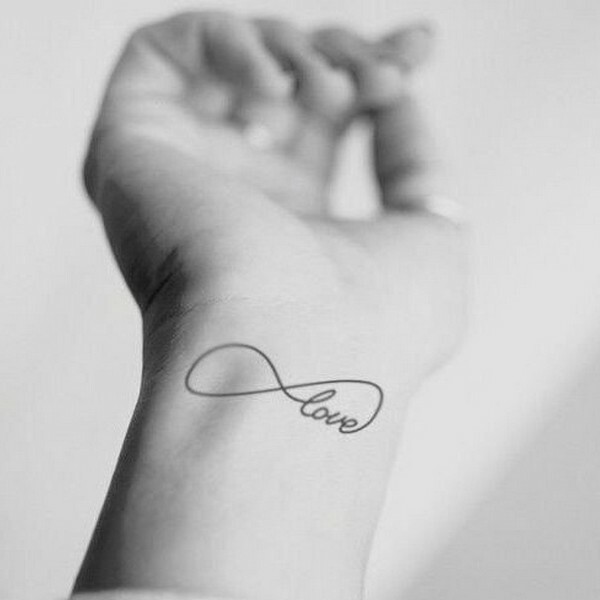 For most people, the infinity symbol means that something is forever or timeless and that is what they represent when inked onto the skin. If it is alongside other symbols, it will give you a good idea of what the women are passionate about and has committed herself to. Very much like the yin and yang symbols, the sun and the moon represent two sides of the same coin. They suggest a woman looking for balance – or maybe she has already found it? It’s that place between good and bad, light and dark and could potentially show a person who feels torn or has faced challenges. Hummingbirds are beautiful, brightly colored creates that are so much more than their tiny size would suggest. They represent love and happiness, a feeling of joy and a zest for life. 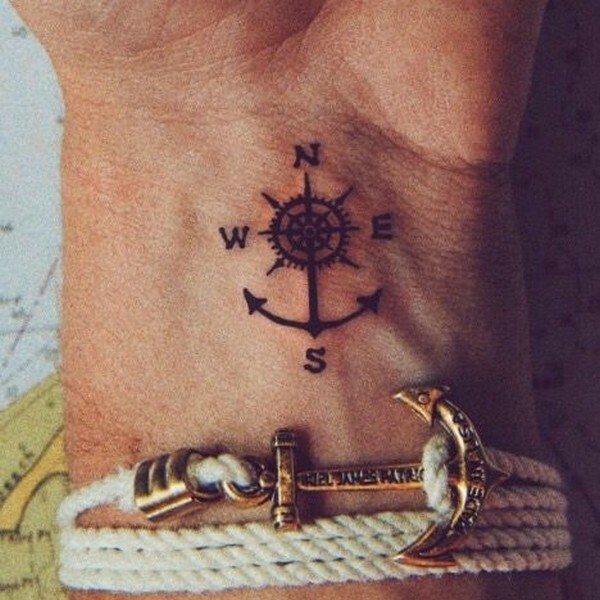 An anchor tattoo might make you think of Popeye and seem more appropriate for a man rather than a woman, but they represent strength and a desire within a person to anchor themselves to a place in time or find stability. Crown images have been growing in popularity in recent years and can be incredibly colorful and beautiful. They can also suggest a woman who thinks they are better than those around them, however, and – while positive self-esteem can be a good thing, too much can make them appear arrogant. 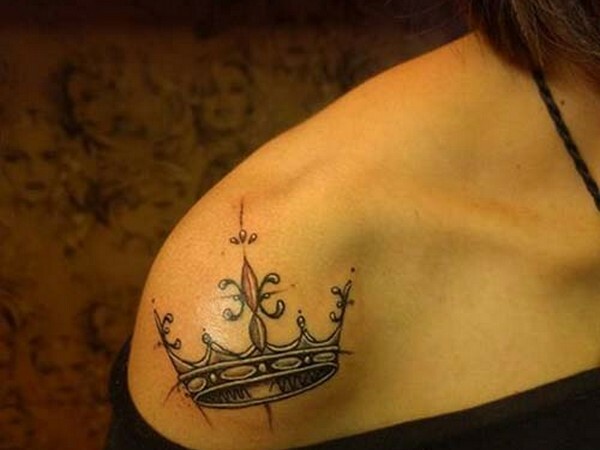 Of course, this might not be the case but if it sends that message, women with crown tattoos might find others avoiding them. While there are lots of women out there who would love to get inked, for many it isn’t an option because of the work they do or the culture in which they live. Traditionally, people prefer colored and black ink, and this is hard to hide, especially if the woman has chosen a full sleeve tattoo. A small image can probably be hidden, but the larger it is and the more public the placing, the harder it is to complete. This might be why tattoos using white ink are becoming increasingly popular. They are much more subtle than traditional ones and look more like an attractive scar or a design engraved on the skin. This makes them easier to hide if needed, at the office for example, though they can be shown off once the working day is done. Then, with some carefully placed clothing that allows them to be shown off, they quickly become a topic of conversation and a way for women to stand out from the crowd. 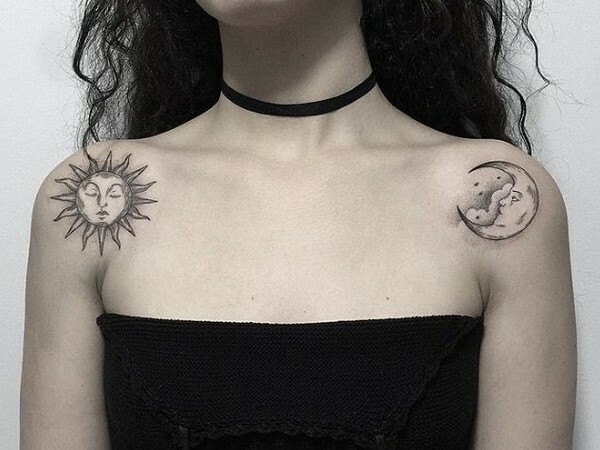 Unfortunately, white tattoos won’t work for everyone, so a woman look for a white tattoo idea should check with a professional before getting any work done. For the best results, the woman will need to have pale or fair skin. On darker skinned women, or those with tans, they will stand out more and may look dramatic, but this won’t always be the case as the texture of the skin also comes into play so women with these skin types should proceed with caution. Before you get a tattoo, do your research and make sure you understand what the image means so that people don’t take offense when they see it or misunderstand the message you are trying to get across. And remember, these are permanent so pick an artist with a good reputation and a portfolio of work that evidences their skills. The last thing you want is to make such a huge decision and pick a design that means everything to you only for it to be badly executed. As with all tattoos, however, it really is up to the individual because they are such personal things which mean a lot to those choosing to have them done. 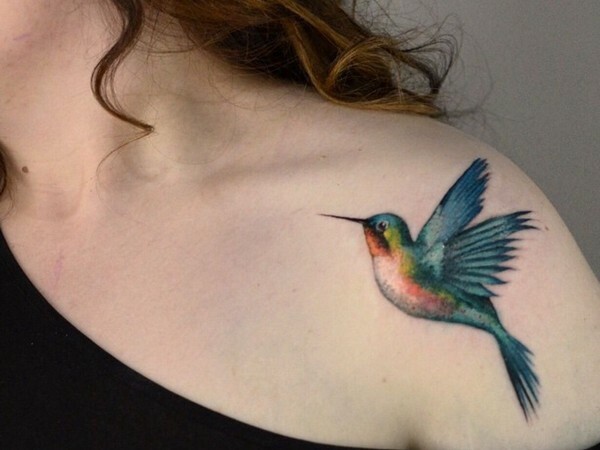 What is most important if you are looking for tattoo ideas for women is that you pick a design that has meaning for you and one you are happy with. If you do, you can be sure you’ll enjoy wearing it on your body for the rest of your life and will no doubt spend the rest of your life being complimented on it and asked just what it means.